Square Enix Returning to the SaGa Series for the 25th Anniversary? The 25th birthday of Square Enix's third-longest running and most offbeat series, SaGa, is just around the corner, and Square Enix could be turning to an old friend for the celebration. Akitoshi Kawazu, the creator of SaGa, is not a man who likes to play by the rules and stick to conventions, hence why he was given his own series instead of being allowed to meddle with Final Fantasy. He has been keeping rather silent ever since his last big game, The Last Remnant, crashed and burned, but in an interview with 4gamer, translated by Siliconera, he hinted at a possible comeback with a new SaGa game. "December of 2014 will be 25 years since the birth of the SaGa series. With that in mind, we're making various preparations. As far as a concrete announcement goes, we'll work on a well-timed announcement, so I believe you can look forward to that. Thank you for your ongoing support for SaGa." SaGa has never been as universally loved as Square Enix's other series. Akitoshi Kawazu was given a fair share of power in the development of Final Fantasy II on the NES, and his ideas and mechanics proved far less popular than its simple and successful predecessor. Instead of putting him back on the A-squad, Kawazu was given a shot at Game Boy development, where the experimental SaGa series bloomed into three successful RPGs known in America as Final Fantasy Legends. Since then, SaGa has never been a sure fire bet on both the quality and localization fronts. We missed the Super Famicom games in America, and the PlayStation entries were met with mixed to horrible reception at best. 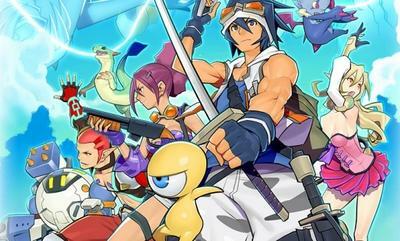 The most recent game was Nintendo DS remake of Final Fantasy Legends 2, but that never made it stateside. It has always gone hand in hand with the Seiken Densetsu, Secret of Mana, series. Both were born as Final Fantasy side projects on the Game Boy, both evolved into bigger games throughout the Super Nintendo and PlayStation eras, Akitoshi Kawazu had a hand in both series, and both came to a colossal failure during an attempted revival on the PlayStation 2. Now that Seiken Densetsu is rumored to be making a comeback as well, it should be fitting for SaGa to join alongside it. I would love to see them both pop up on my 3DS menu side-by-side. I never thought I'd see the day. Don't leave us waiting too long Square Enix.